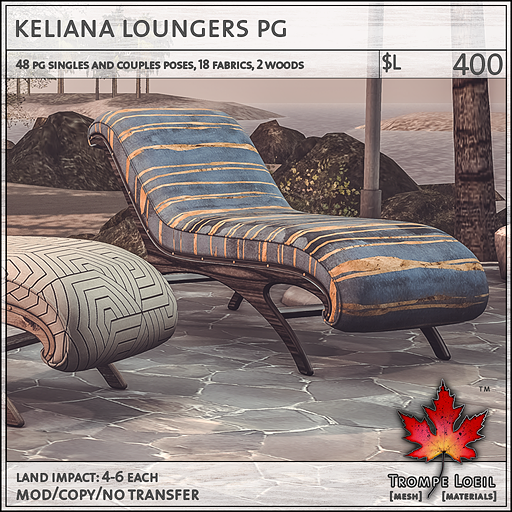 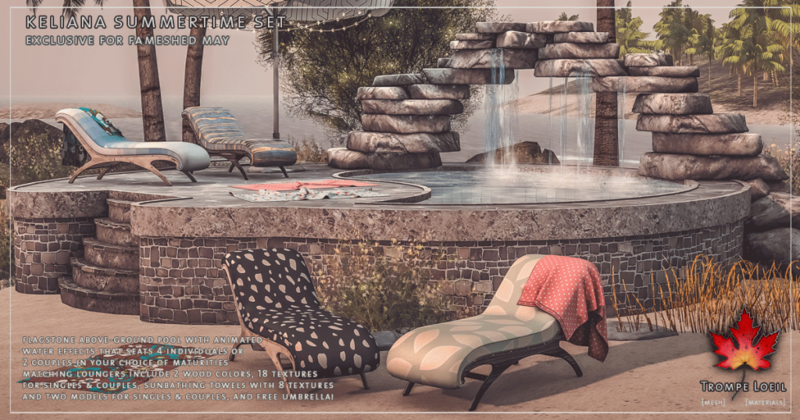 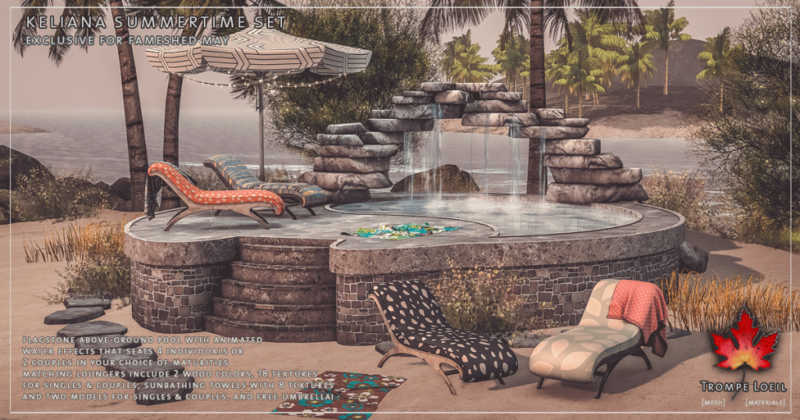 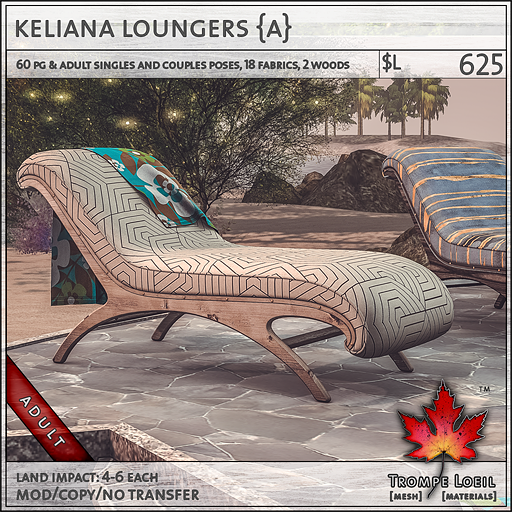 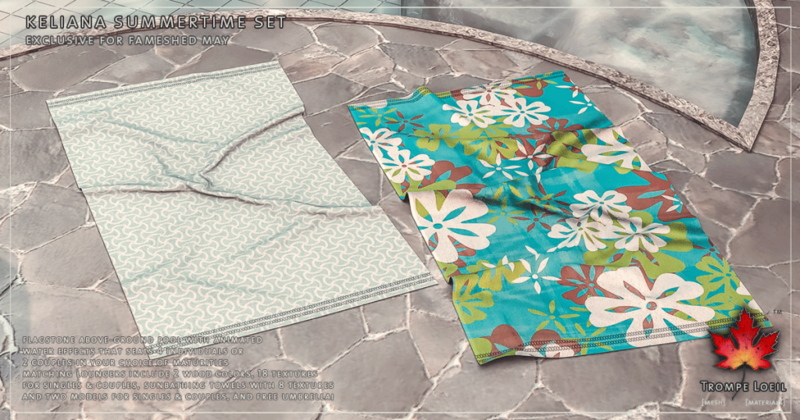 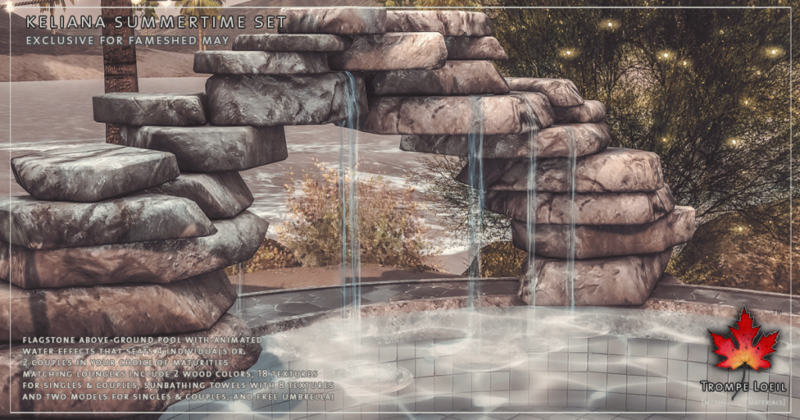 Get excited for summer – our Keliana Summertime Set at May’s FaMESHed round has everything you need for long sunny days by the water! 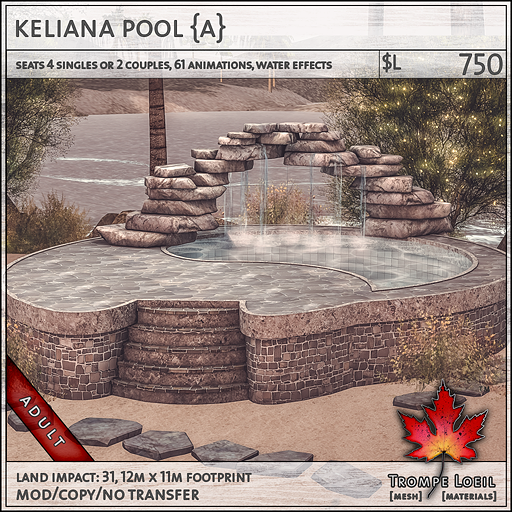 Set up the Keliana flagstone above-ground pool with built-in waterfalls, and 4 singles or 2 pairs of couples can have a splash! 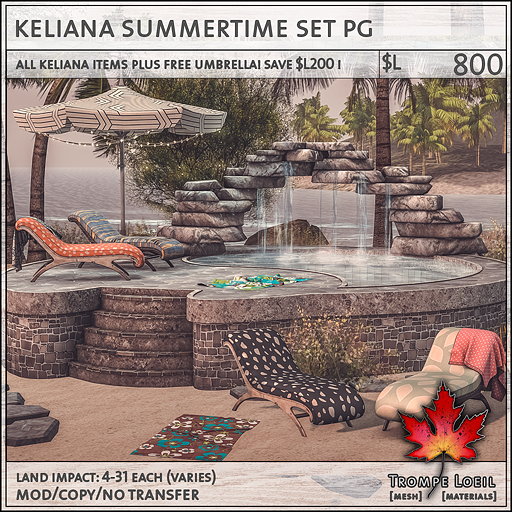 The Keliana Summertime Set includes pool with animated water effects in your choice of maturities with tons of swimming, floating, bathing, and couples animations – plus the Keliana Loungers for singles and couples in lots of great fashion patterns, Keliana Sunbathing Towel with two models for singles and couples, the FREE Keliana Umbrella as a special FaMESHed birthday gift, and a huge discount for set purchases! 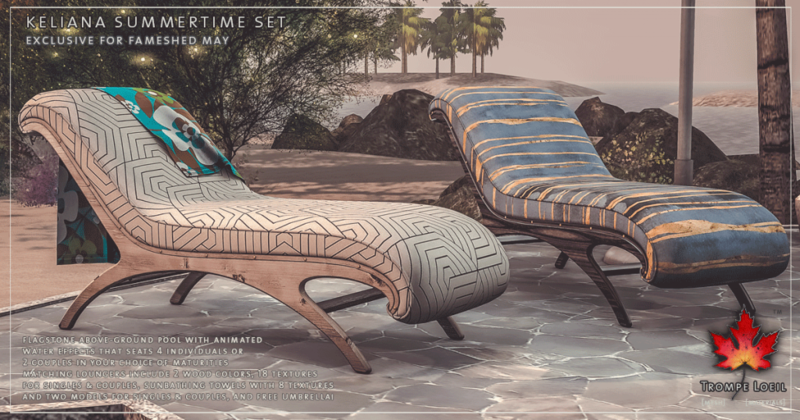 Check out the on-site demo at FaMESHed and our mainstore today!